Multihull Adriatic championship 2017 - Circolo Nautico Porto Santa Margherita a.s.d. 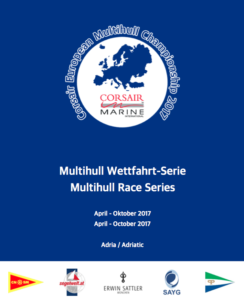 In 2016 the Corsair European Multihull Championship – CEMC – was held in close cooperation with Circolo Nautico Porto Santa Margherita – CNSM. In 2017 the CEMC will have a new format as a race series, where also smaller Multihulls are very welcome to participate. For more, click the photo.